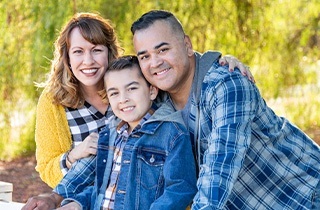 At Bear Creek Family Dentistry, our team consists of general dentists and specialists in pediatric dentistry, orthodontics, oral surgery and prosthodontics (restorative dentistry). We believe that building a foundation of trust with our patients is a key component of our success. We treat every patient the way we would want to be treated - with compassion, courtesy, and respect. We will only recommend treatment that we feel is best for your oral health and that we would recommend for our friends and our own family. We use modern dental equipment. 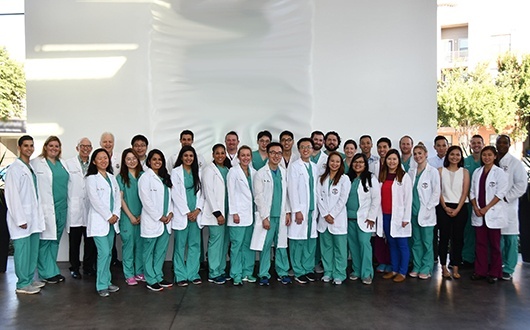 Both the doctors and our staff devote many hours to continuing education each year to keep up with rapid advances in technology, techniques, and materials. We believe that a comfortable patient is a happy patient. We understand how nervous a patient can be at their dental appointment. We go out of our way to make sure that your visit is a pleasant one. We offer a variety of entertainment such as large screen TV’s, a children’s play gym, video games and a movie theater. We have dentists to meet all your family's dental needs. We have general dentists who can take care of most dental issues that arise. We also have a full-time in-house staff of board certified specialists. In dentistry, a specialist is a dentist who, after four years of dental school, goes back to dental school for two or more years of specialized training in a particular area of dentistry. We have board certified specialists in Pediatric Dentistry (who treat babies, toddlers, young children, and teenagers), Oral Surgery (who handle extractions such as wisdom teeth as well as dental implants), Orthodontics (braces for adolescents and adults), and Prosthodontics (crowns and dentures). 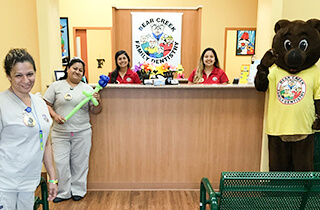 These specialists are Bear Creek Family Dentists who work in our Bear Creek offices. Our goal is to treat each patient as we would an important member of our family. We do that by providing great clinical care as well as great customer service. Our modern, beautiful offices have state-of-the-art equipment and well-trained, friendly, caring staff. We understand that you are coming to see us for a reason. Our staff listens to you, and works hard to be responsive to your needs and wishes. Whether you come in for a simple exam and cleaning, or for more complex restorative work, we explain the treatment options and you make the decision on what you would like to do. Many of our offices offer family entertainment, usually in the form of a play gym, big screen televisions, and a movie theatre. We are happy to have you bring your family with you when you come for your dental visit. We understand that the cost of care is an important factor. We offer great pricing for those who do not have dental insurance, and we accept most major insurance plans, Medicaid, and CHIP. In addition, our dentists are in-network with many insurance plans. CareCredit is also offered as a financing option for those with approved credit.